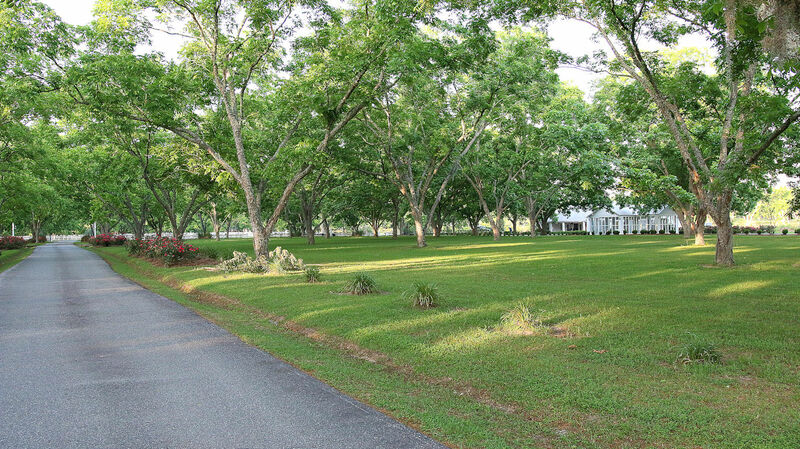 ​The structures and improvements were carefully place on the 15 acres East of the Pond so as to not over build, but compliment God's handy work. 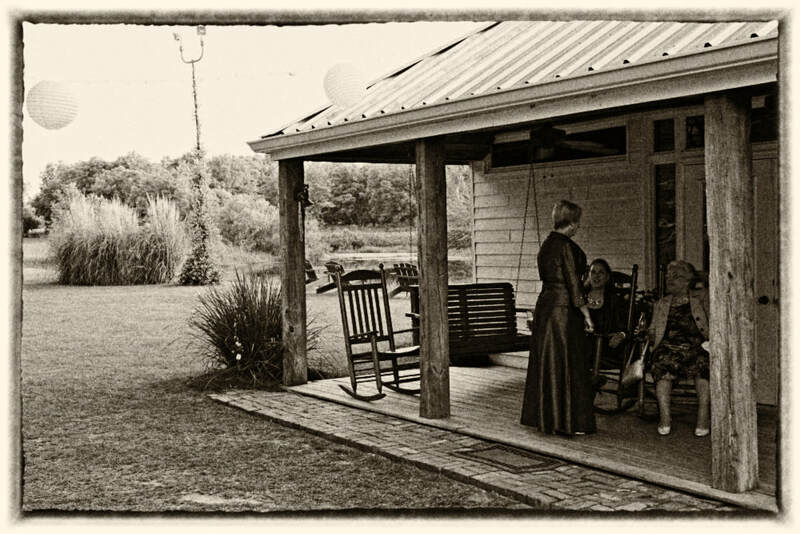 Our family has enjoyed sharing the Farm with all of the families that have had their weddings, birthdays, anniversaries and reunions at the Farm, and also finding new friends along the way. 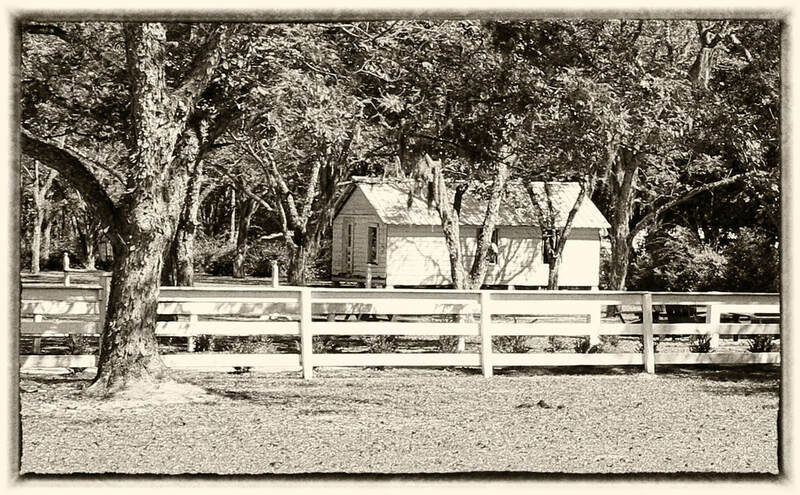 The Farm has a unique history created as a result of our 38 year family business in the demolition and dismantling of old buildings and structures. 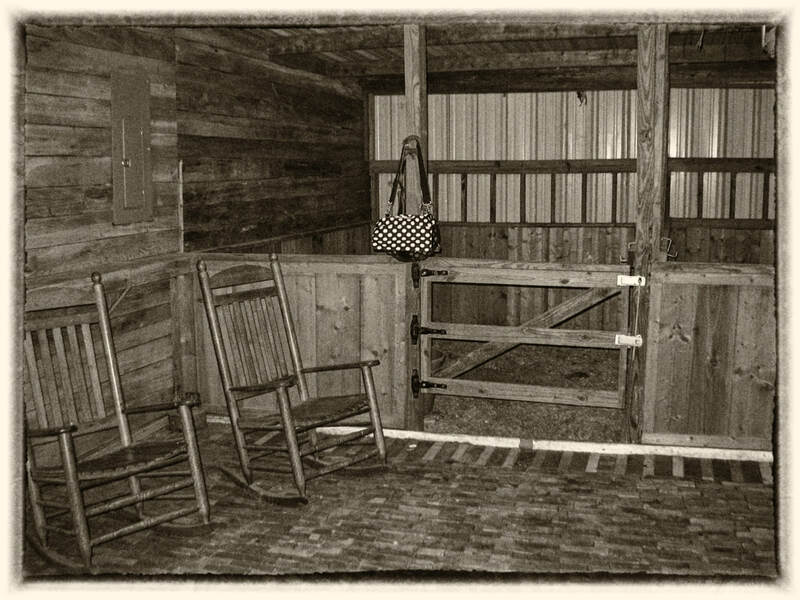 Each structure on the Farm had a previous history in another location and before being re-located to our Farm it had to meet our criteria for selection. Restored view today . 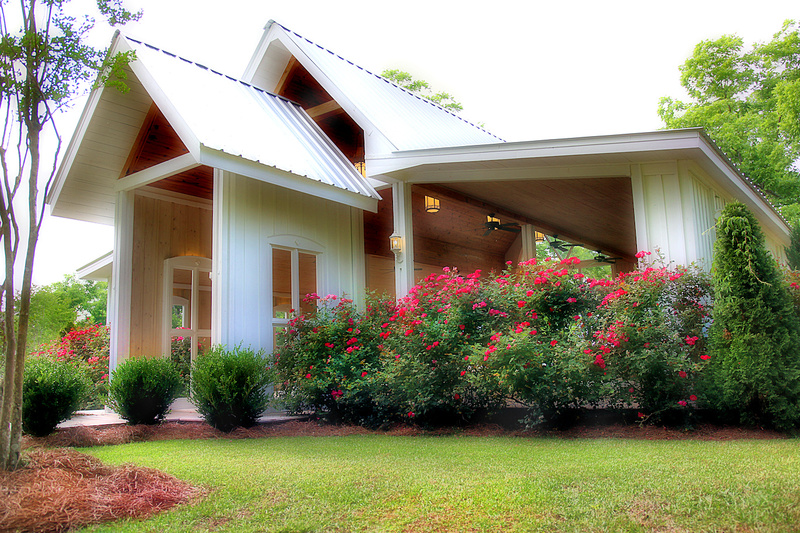 . .
​exterior siding, interior planking and the structures natural beauty. 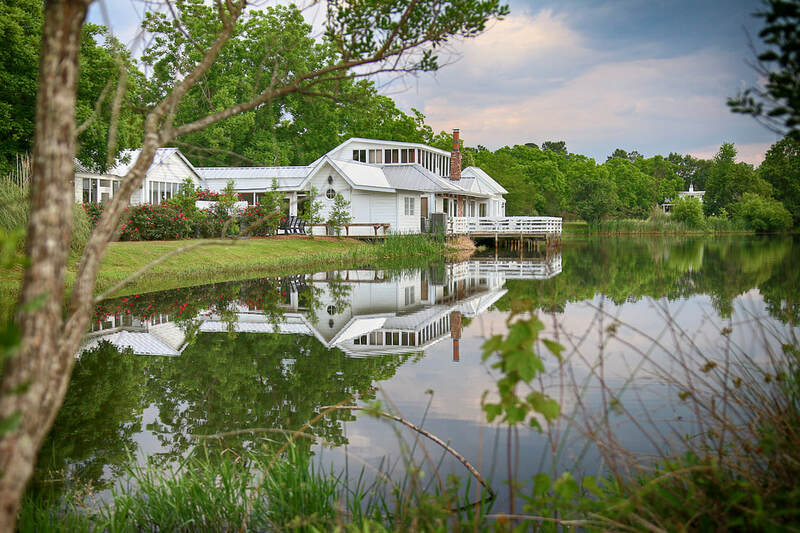 ​The Pond House is constructed from pine and aged cypress removed from an old fertilizer plant in Macon, Georgia. 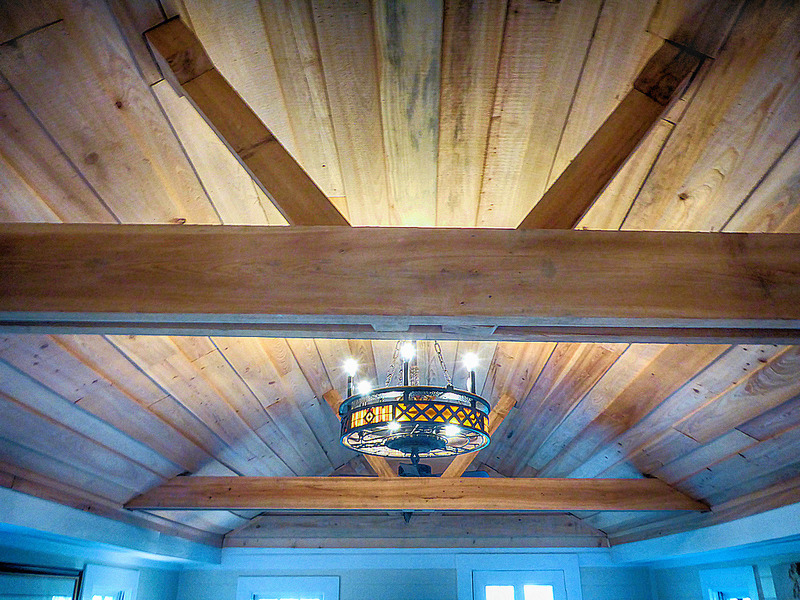 The structure was re-located to the Farm and placed on a foundation with structured beams and ruff-cut planking. Flat planed planks were used to obtain the beautiful finish of each room and the reception hall, along with the high ceilings and large kitchen. 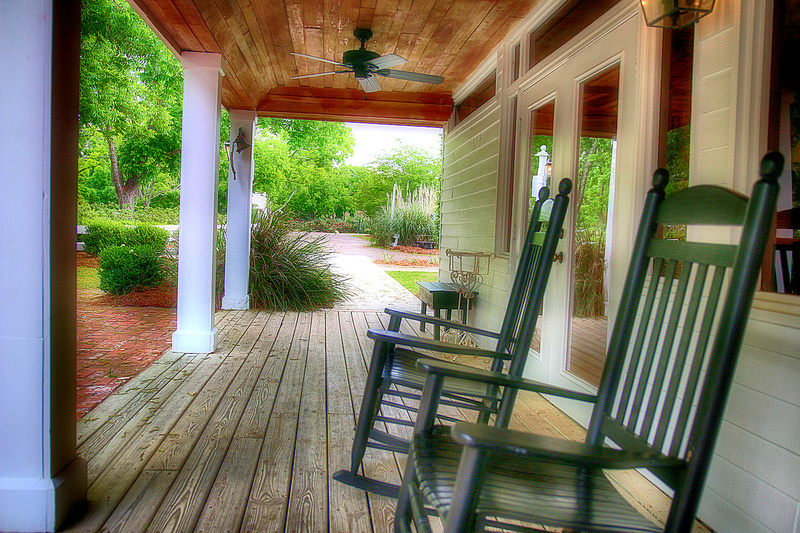 The front porch maintains a rustic look and welcoming character, while the pond deck is open and inviting. Restored view today . 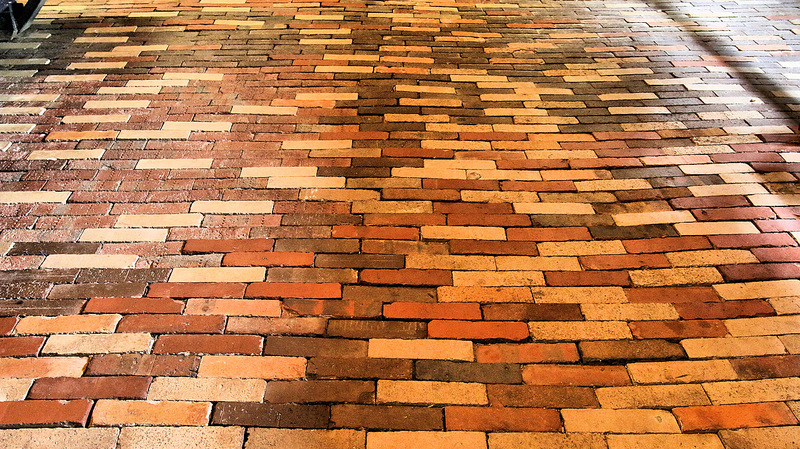 . .
​Restored view today . 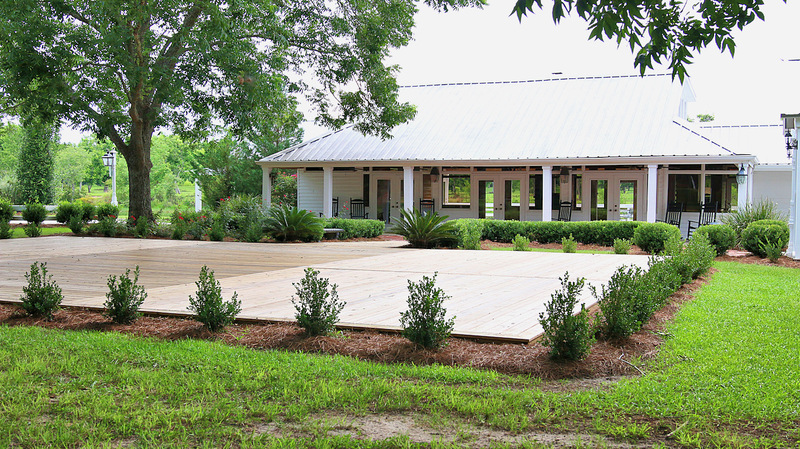 . .
​The Glass Solarium is an old outbuilding moved to the Farm from a property in North Valdosta and re-constructed with a vaulted roof and ceiling. The building was enclosed with 110 clear glass panels for an unobstructed view of the entire surroundings. 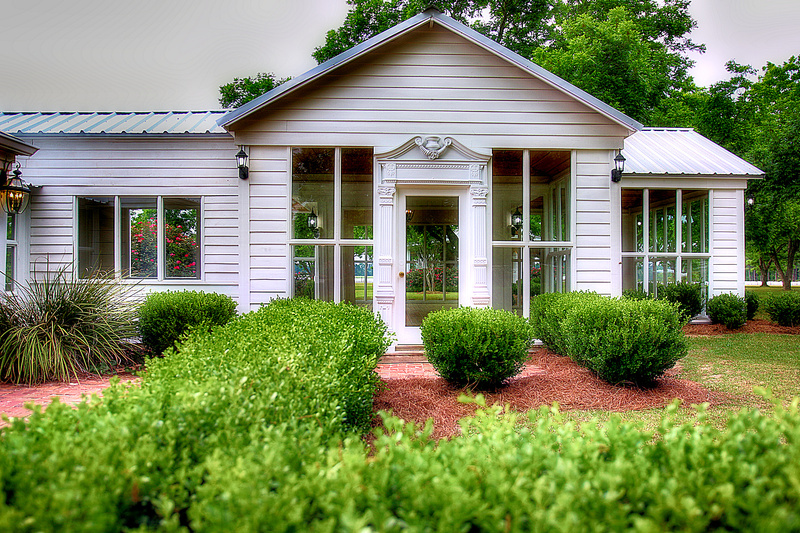 Other added features help highlight the restored beauty of this building and the built-in climate control gives our guest total year round comfort. Restored view​ today . 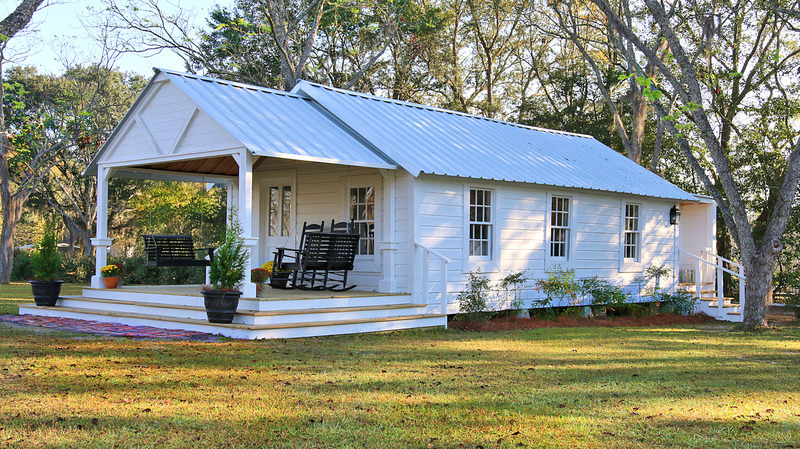 . .
​The Bride's Cottage was salvaged from an old Chevrolet dealer in Lakeland, Georgia. 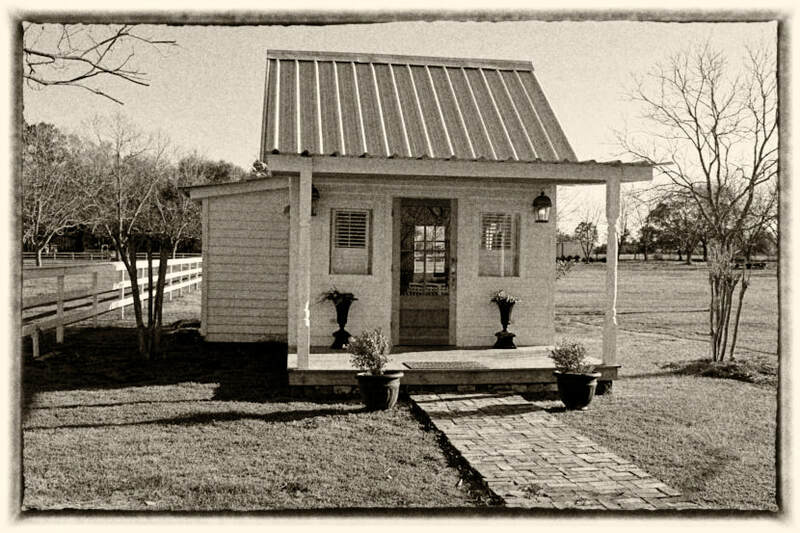 It was moved and rebuilt on the Farm just the right size for the bride and her attendants to secure their privacy before the wedding and also offer a shower and make-up room for their convenience. 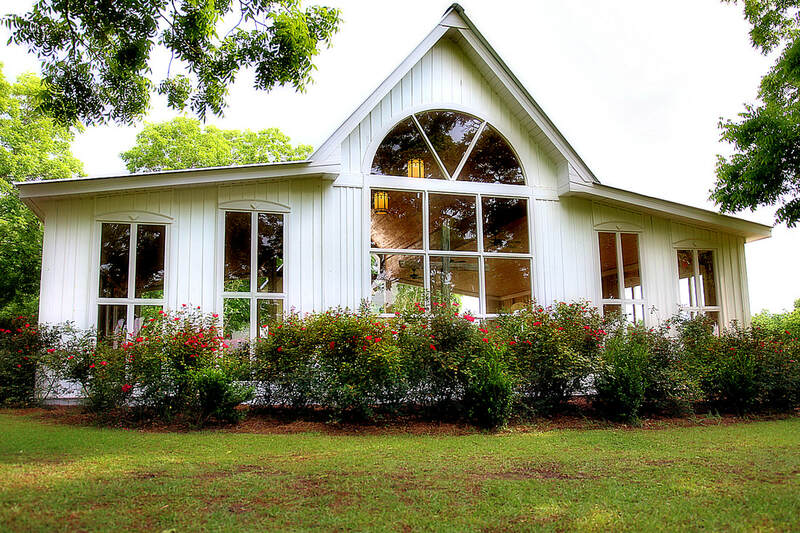 ​The Chapel has a vaulted roof that came from an outdoor pavilion removed from the Lowndes County High School on Norman Drive. The 15 foot tall oval top windows were removed from a 114 year old railroad terminal in Waycross, Georgia. The 5 beautiful light fixtures hanging in our Chapel came from an old church on Forest Street in Valdosta where they hung for 82 years giving light to the hundreds of sermons delivered to many congregations. 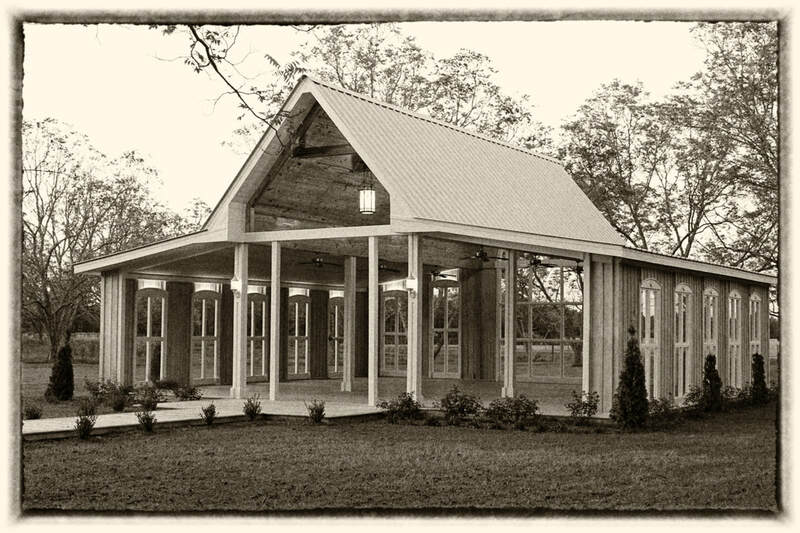 The Chapel starts a new life at Highgrove Farm with re-purposed structures and restored artifacts that highlight their intended beauty and design. Restored view today . 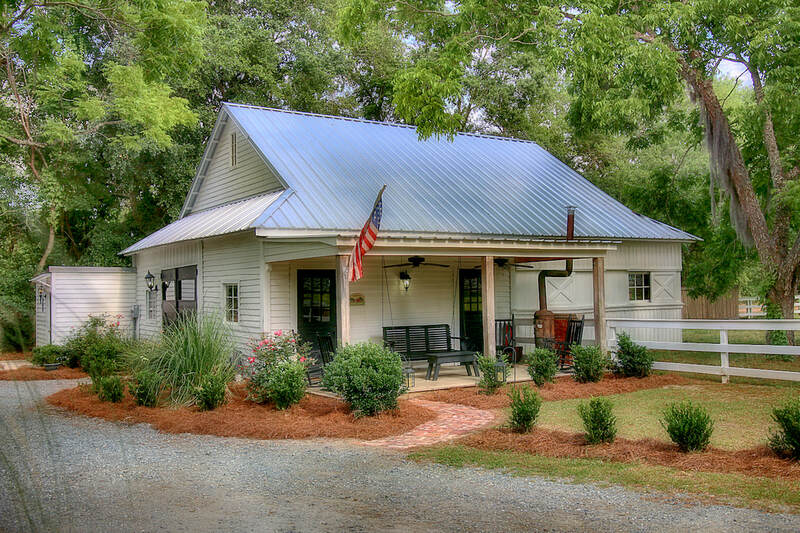 . .
​The Savannah House is an old mill house residence moved from the mill district in Valdosta. 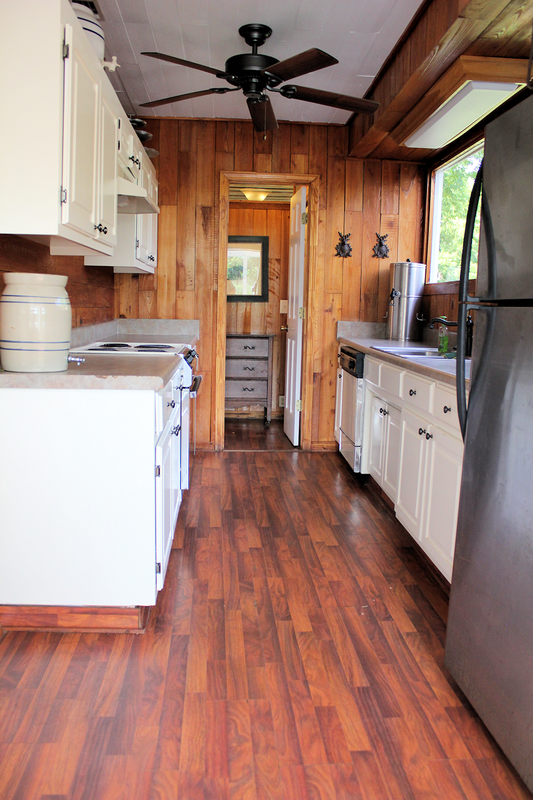 The building has been re-built with a vaulted ceiling and old Southern wood pain windows. 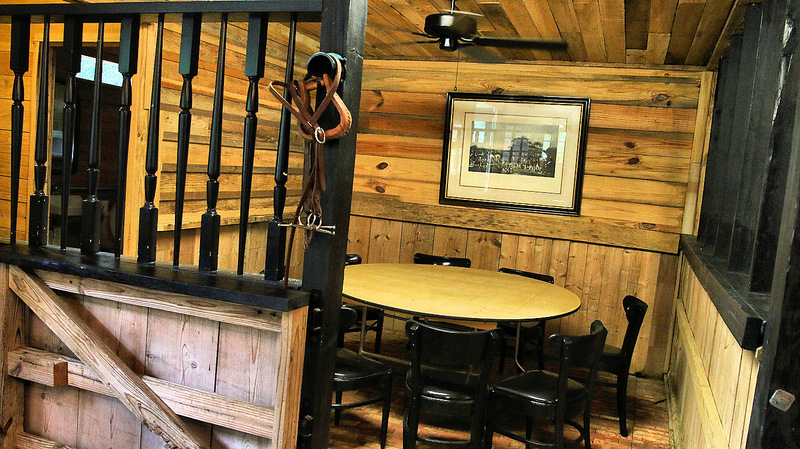 The restored facility will now serve as a comfortable receiving area for guest to discuss and plan weddings, family reunions, anniversaries and birthdays. Restored view today . 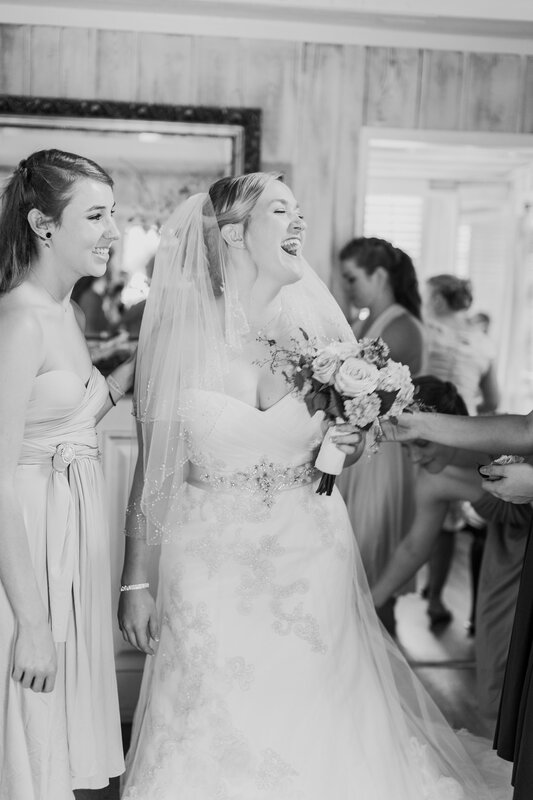 . .
Today, Highgrove Farm has developed into one of the most popular wedding venues and gathering places for birthdays, anniversaries, and family reunions. Highgrove Farm's beauty and secure place is due to the stewardship of the property. The buildings and improvements were carefully placed so as to not overbuild, but compliments the orchard. 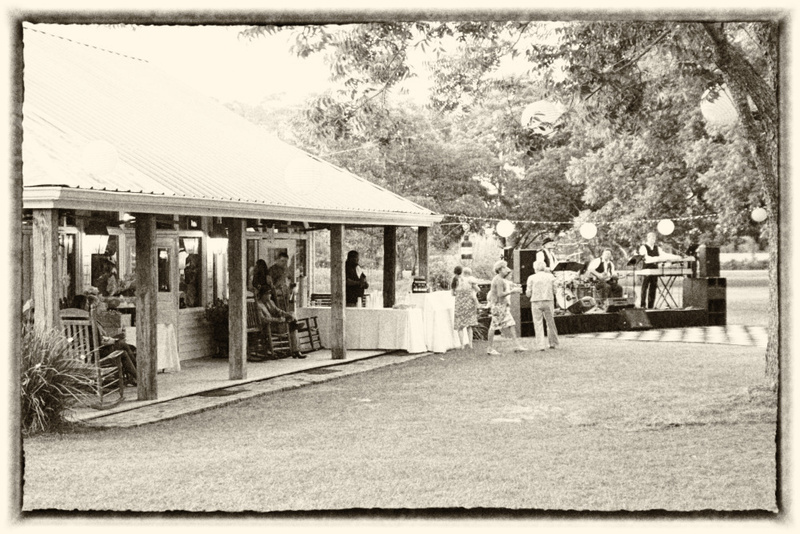 The weddings and events are controlled so that we have only one event per week. ​ Highgrove Farm is also an active horse farm with highly trained and child proof horses, and a daughter and granddaughter that teach children Western Pleasure and English Cross Country Jumping. 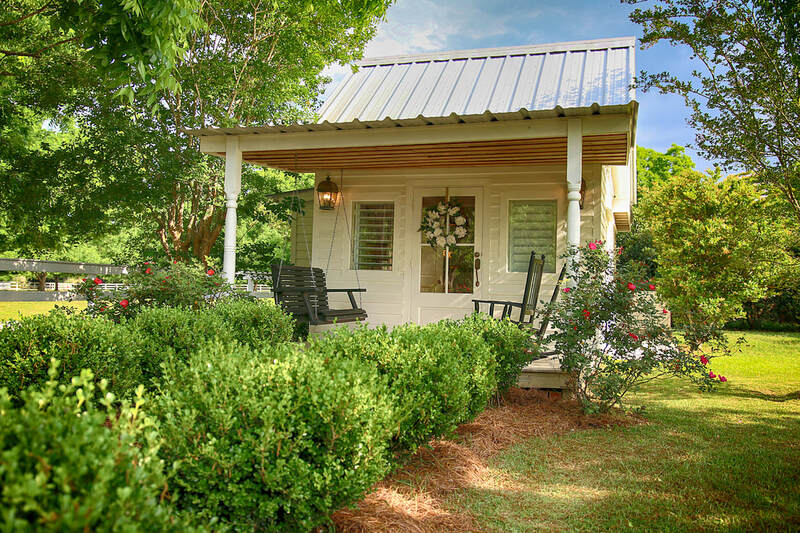 The Farm has a personality of its own with our crisp soft white exteriors, natural wood tones, vaulted ceilings, antique furnishings and porch swings and rockers that truly welcome with Southern hospitality. 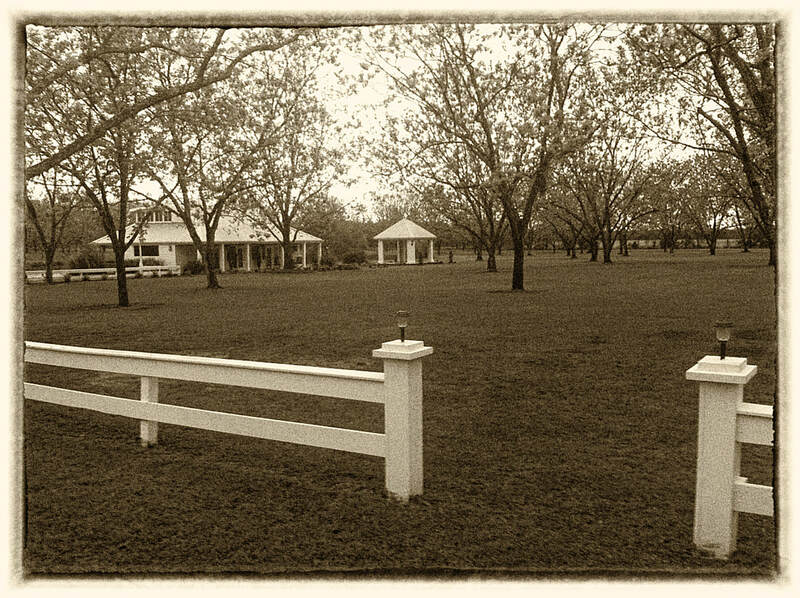 The pastures and grass are maintained and manicured each week to help make the white fences, galvanized farm roofs and Pecan Orchard stand out. 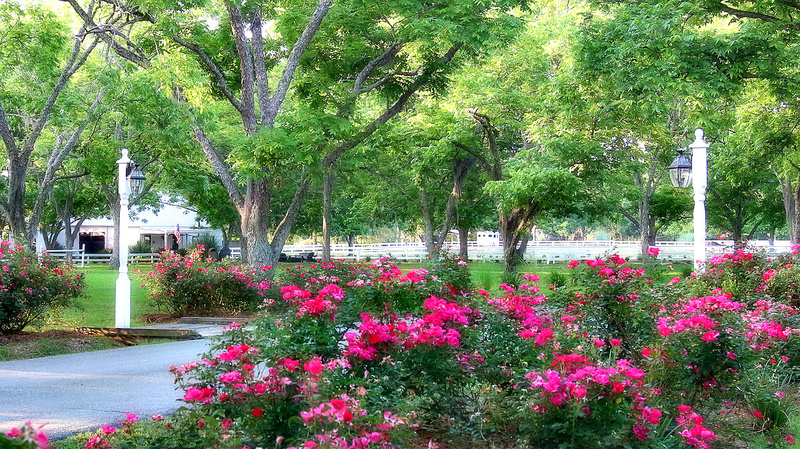 The knock-out roses are beautiful and everything is made ready for your perfect day. 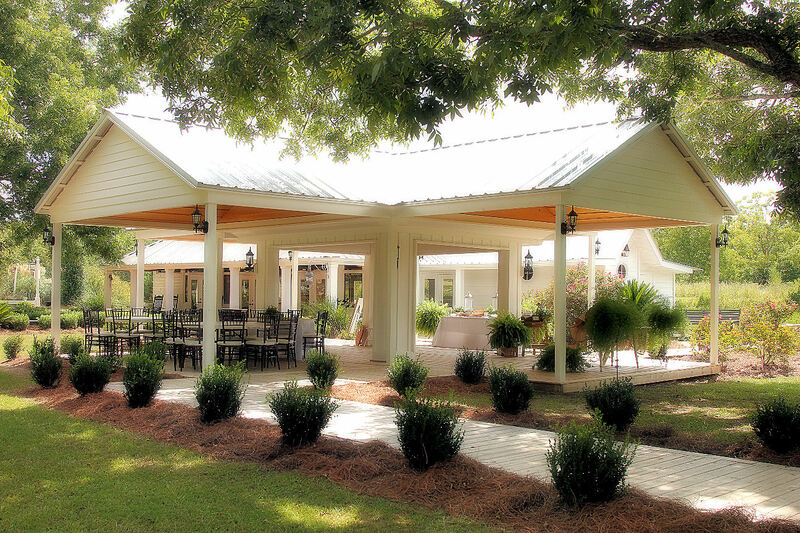 Tomorrow, our family, has confidence in our careful stewardship of Highgrove Farm and the support of you our guest, and the overwhelming willingness to let us serve you and host your events. 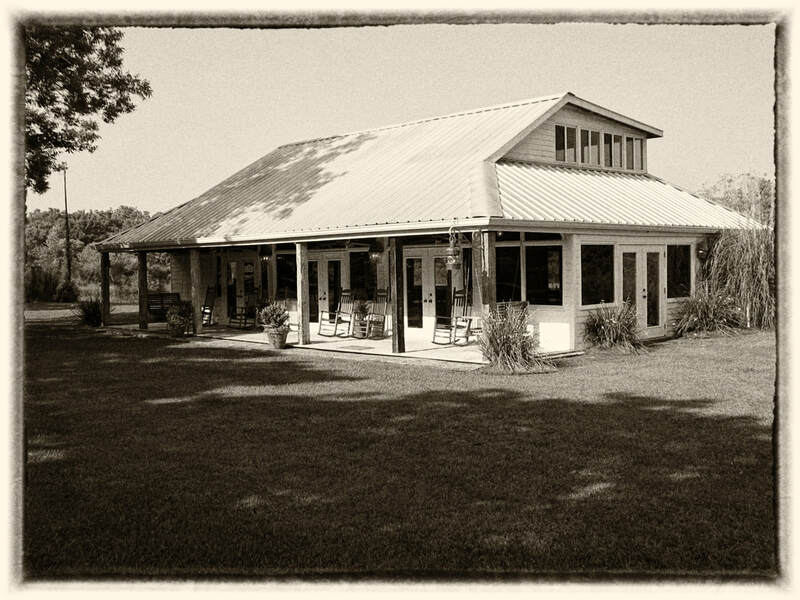 ​From our family to yours, Welcome to Highgrove Farm, "Where Memories are Made"